I made a Lemon Drizzle Cake yesterday and took it into work today. It was really delicious and quite a few people asked me for the recipe. It comes from Tana Ramsay (Gordon's wife) and is on the BBC Good Food Website, I don't know what I would do without that recipe website it is just so reliable. You can check out the recipe HERE. Oh, wow! I can't think of anything I would like to taste right now than a slice of this lovely cake! Seriously! HI Janice - great cake. 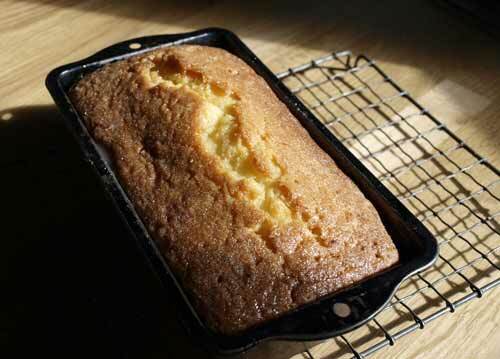 Have you ever used Greek Yoghurt in a cake recipe? The result is amazingly moist. I would really like to send you some and some recipes to try if you would like? Can you email me on Julie@trafficpartners.co.uk and I can arrange for a selection of samples of TOTAL Greek Yoghurt to be delivered. It would be great to hear from you. looks delicious, must taste delicious too! Thanks for the link! The recipe sounds fantastic. I love tried and true recipes. This is now on my list of 'must try recipes'!